Friendship, class, fame, dance and coming-of-age. 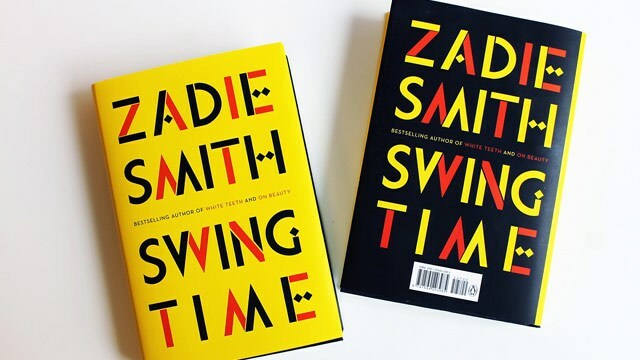 Although it is commendable that Zadie Smith’s latest novel, “Swing Time,” is ambitious and somewhat interesting, it seems to fall short of its lofty goals. That being said, there is still no denying that Smith is an exceptional writer whom it is never a waste of time to invest reading whatever she’s serving up. For “Swing Time” she combines themes of friendship, class, fame, dance and coming-of-age. The former is in the form of childhood bff’s, minus the “forever.” The unnamed narrator meets a new friend, Tracey, at a dance class, noticing her as the only other “brown” girl and admiring her seemingly dance prowess, which helps in solidifying an instant connection although often fraught with complications. While the narrator has an absolute passion for classic musical movies, which she and Tracey watch tapes of, and she desperately wants to emulate the stars of the films, she is hopelessly mediocre to Tracey’s technique and flare. Also common between the two girls is racial background as both are the product of interracial parents. Both families are definitely working class, but Tracey’s from a sketchier part of their London neighborhood. Her father appears to be struggling with drugs and the law, which puts a strain on Tracey’s mother, a less educated and less ambitious version of the narrator’s mother. Community politics and identifying with her Jamaican roots are paramount to the narrator’s mother who continuously tries to assert her values on her daughter, looking down on her attraction to dance and the arts as a child, and later resents what she views as frivolous career goals. As time passes, the friends grow up, and grow apart and the novel focuses mostly on the narrator as a young adult who seems to go through college years and her professional years with indifference. Despite that, she lands a position as an assistant to Aimee, a celebrity singing sensation – turn philanthropist. The job takes her around the world to places like Sydney, New York and Gambia where Aimee is developing an all girls school, a la Oprah Winfrey. Despite the exotic locales and exciting projects, the narrator never seems to impress her mother or herself. She’s seems perpetually bored with work and life. Maybe this is because what she really wanted was a life in dance or theater, but didn’t have the talent or initiative to pursue it on any level. Becoming more disconnected to her parents, she barely communicates with them. She eventually encounters Tracey again – first as a professional dancer, and later under more unfortunate circumstances. Neither reignites the friendship or the story in that regard. It is the narrator’s perpetual sense of disconnect with people and things, and dissatisfaction with her work and life that permeates the novel. There seemingly is a lot going on in the novel, but yet not much going on with the narrator herself. For covering so much time and distance, Smith seem to forget to develop a dynamic character or even a protagonist we’re drawn into and care about. What can be appreciated is the short chapters, making the nearly 500 page book a faster read than you would expect. That and the fact that Smith’s way with words in and of itself is captivating. Her often delectable descriptions of people, places and situations is undeniable. It may make “Swing Time” worth a read, but not be enough to put it in the class of brilliance that her debut novel “White Teeth” is.